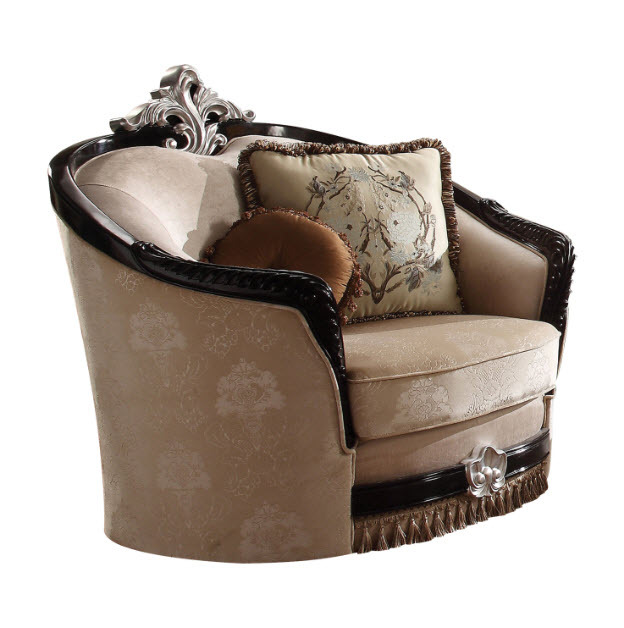 The Ernestine chair is an impeccable example of truly remarkable and opulent traditional design. 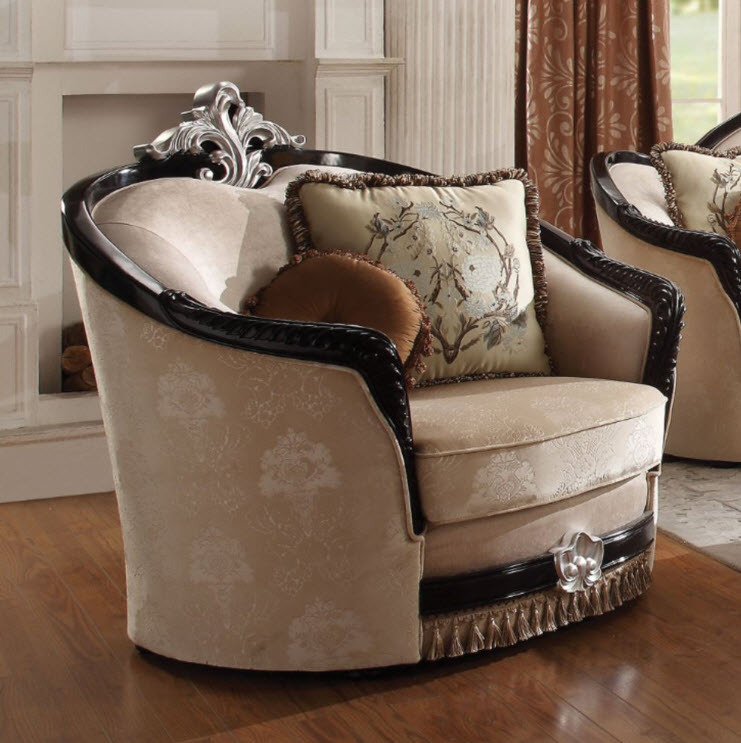 From the curved wood trim on backrest and armrest to the wooden bun leg, every detail boasts old world elegance. Covering in tan fabric, it features tight back and loose seat cushion with pocket coil seating system.